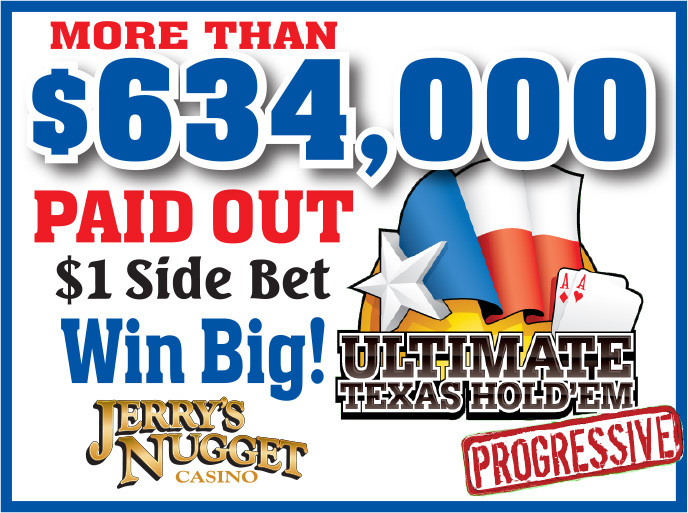 Ultimate Texas Hold Em any day of the week! Place a $1 side bet for a chance to win thousands. big winner could be you!